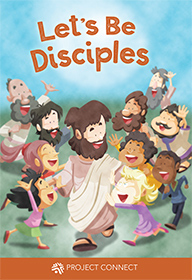 These children’s booklets are ideal to use for Vacation Bible School, fairs and festivals, classrooms, holidays, outreach and more! Give one to a neighbor or friend. 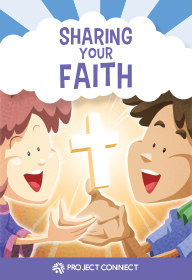 Anyone can use these fun and colorful booklets to discuss prayer, how to share their faith, and more – each in a way kids will understand and remember. Full PDF previews are available for each title. Click on the link to view and download. Visit our storefront to order children’s resources. Click here! Booklets are sold in packs of 25 for $7 plus shipping. Jesus’ first disciples were ordinary people like you and me. He called and they followed. He taught and they listened and learned. As God loved the world through His Son, He loves the world now through us. We can all be His disciples and spread the Good News of Jesus. This booklet is geared towards pre-school to third-grade children. 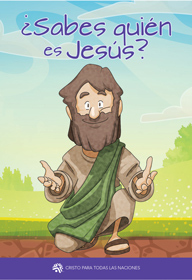 It is written in rhyme to teach children the answer to the question, "Who is Jesus?" Escrito en rima y con ilustraciones a todo color, este pequeño libro enseña la historia del amor de Dios desde la Creación hasta la eternidad. Es ideal para niños de edad prescolar hasta tercer grado. This booklet is geared towards pre-school to 3rd grade children. This children's book is full of fun rhymes for youngsters (and parents). It reminds readers that both words and actions are part of telling others about Jesus. This booklet is geared towards pre-school to third-grade children. It is written in rhyme to teach and encourage children (and Parents) to spend time with God in prayer. This Easter children story book is about Jesus' life on earth. Watch Him as He enters Jerusalem, speaks with His disciples, is betrayed, arrested and, eventually, crucified. 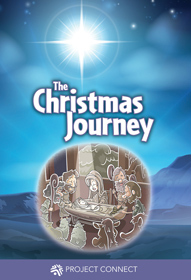 This Christmas children story book is about God's expedition to earth as the Babe of Bethlehem. Enjoy this little booklet as it rhymes its way through the Nativity story of Jesus' birth. This booklet is geared towards pre-school to 2nd grade children. 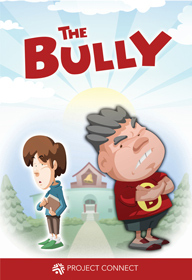 This children's story book is about a boy affected by bullying. 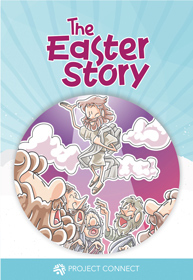 Enjoy this little booklet as it rhymes its way through David's story at school.